Well… I’m calling it that. I don’t think Debs is calling it that. 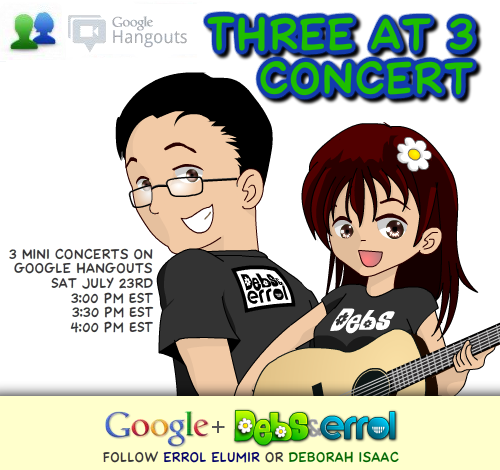 We are doing THREE mini-concerts for 20 minutes each! You can come in, hang out, listen, request songs we know, ask questions! Remember, only 10 people can be in a hangout at once, so this gives you THREE chances to get in! HUZZAH!